Hold your breath to experience the adventurous trip inside the Nagarhole forest. During the Nagarhole jungle safari in the Nagarhole forest, you can spot the animals like Bengal tiger, sloth, leopard, barking deer, sambar deer, elephants, mongoose, Indian giant flying squirrel and a lot more. The forest is packed with beautiful scenic places consist of 47 streams, 4 lakes, dam, and reservoir. Bird spotting is very prominent near Kabini river. Around 250 species of birds are seen there. Watch the enticing wild life in all its splendor at the Nagerhole National Park. 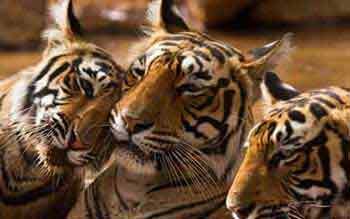 An excellent opportunity to watch the plethora of wild animals, elephants, deers, wild boar and others. Also, go for watching the multitude of birdlife, a real treat for the eyes and ears. Take back the cherished memories from this awe inspiring National Park. Come out of the park proudly as an ambassador of preserving the nature and its residents.